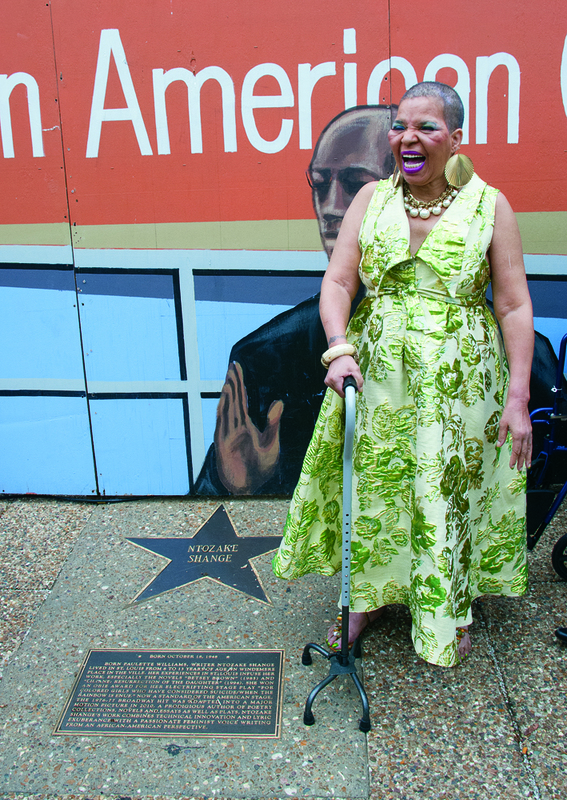 Born Paulette Williams, writer Ntozake Shange lived in St. Louis from 8 to 13 years of age on Windemere Place in The Ville. Her experiences in St. Louis infuse her work, especially the novels Betsey Brown (1985) and Liliane: Resurrection of the Daughter (1994). She won an Obie award for her electrifying stage play For Colored Girls Who Have Considered Suicide/When the Rainbow is Enuf. Now a standard of the American stage, the 1976–77 Broadway hit was adapted into a major motion picture in 2010. A prodigious author of poetry collections, novels and essays as well as plays, Ntozake Shange’s work combines technical innovation and lyric exuberance with a passionate feminist voice writing from an African-American perspective.